The Dunaway Center as seen in Ogunquit Tuesday morning. 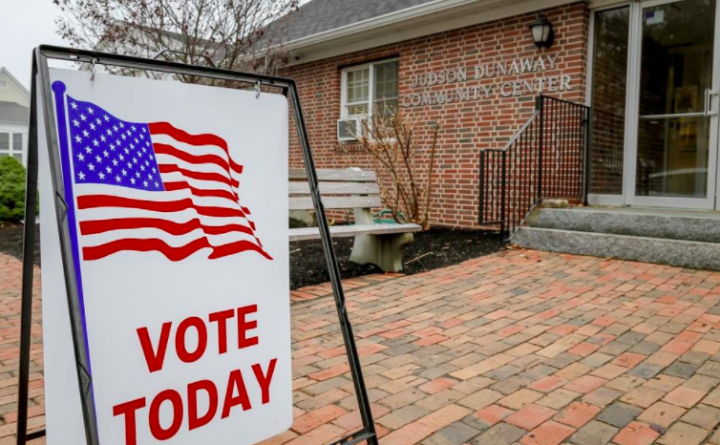 Ogunquit residents narrowly defeated the proposed Comprehensive Plan revision at the polls Tuesday, while the other seven referendum questions on the town ballot passed easily. With 412 voters saying no to the new plan, and 378 voting to accept it, the division that was evident among residents in the last several weeks, came through at the polls. The measure made the warrant under a citizen’s petition. Proponents believed the plan would have been more streamlined than the current one drafted in 2002, which is more than 300 pages long, and covers more modern needs in the town. Opponents felt that the new plan needed more work and more detail, saying it was too general, didn’t address conservation needs adequately, and eliminated environmental safeguards. Question 3 increasing the fines for people, dogs and horses who enter the restricted dunes and other portions of Ogunquit Beach passed by a 571 to 233 margin. The remaining articles dealt with changes to the town’s zoning ordinance and passed decisively.